Are you stuck in a fashion rut? Do you have the same look that you had in high school or college? Are you in desperate need of a radical change? Some ways to change your look are dramatic or can take a long time, such as going on a diet, starting an exercise program, or having a cosmetic procedure performed. Others can change your look almost instantly. Here are a few fast and simple ways to make instant radical changes to the way other people perceive you. They say that beauty is only skin deep. But it can be even more superficial than that. If you are still wearing the same clothes you wore last winter, it’s probably time to make a change. Grab your credit card and head out to the mall to buy yourself an entirely new wardrobe. You’ll have a blast picking out new outfits that will radically change the way you look. While you are at the mall, make sure to stop by the cosmetics counter and ask for a complete makeup makeover. The expert cosmetologists can show you how to make subtle (and not so subtle) changes to your makeup that will make you more attractive. Boost your self-esteem by signing up for a class in an area that interests you. Check out your local community college or consider taking an online course. People find women who are intelligent and self-confident more attractive. Plus, you can learn some useful information along the way. 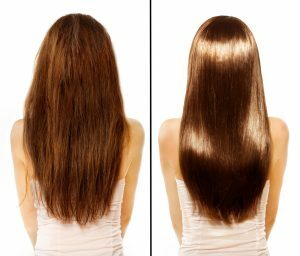 Perhaps the fastest and easiest way to change your look is to get a Brazilian keratin hair straightening treatment by Maria Teixeira at your local professional salon. In just a few hours, you can emerge look fabulous with long, straight, gorgeous hair that is certain to turn heads.